Limestone Coast General Practitioner Dr David Senior is calling for a comprehensive, ongoing and detailed Health Assessment Study in the Limestone Coast before any gas extraction is allowed. Dr Senior is recommending that this study would need input from organisations such as environmental toxicologists, environmental health scientists and public health professionals. Polling of 250,000 people confirms public rejection of CSG mining nationally. Lock the Gate say this should trigger election commitments. 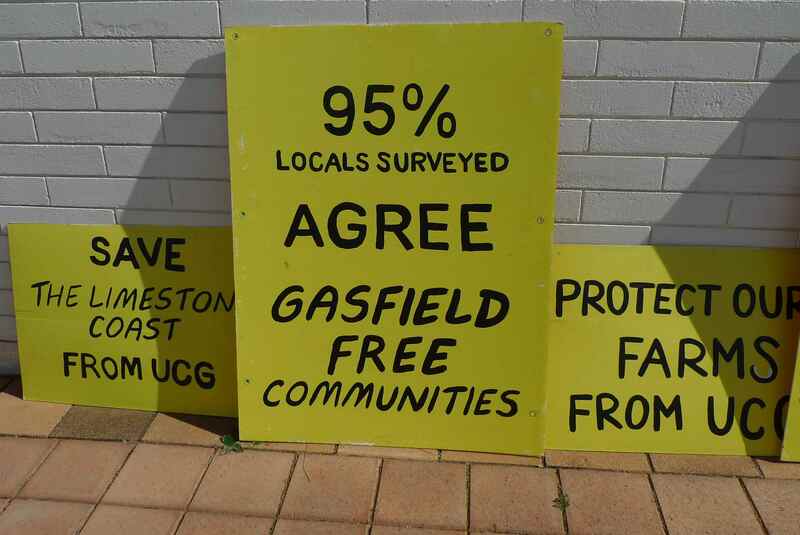 New polling confirms the public has rejected risky unconventional gas drilling and highlights the failure of both major political parties to act on community concerns on the issue in the lead-up to the Federal election. The ABC has released polling data showing 67% of Australians are opposed to any easing of restrictions on coal seam gas exploration, and that this number had grown since the last Federal election in 2013. Lock the Gate Alliance National Coordinator, Phil Laird said, “Clearly, there is widespread rejection of the unconventional gas industry by people across Australia given the profound risks that it poses to water resources and human health. • Fully protecting important water sources like Sydney’s drinking water catchment and the Great Artesian Basin in no-go zones. “The CSG industry has been a nightmare for families forced to live with it in Qld. The impacts on health, water and farming communities, as well as regional economies, has been severe. “People across Australia have learnt the hard lessons from Qld and are saying very clearly that they think Governments must take stronger action against this industry. The time for action is now. “This new polling also confirms previous regional polling which has shown 70-80% opposition to unconventional gas drilling in various communities across Australia and 96% in door to door surveys in farming districts,” he said. 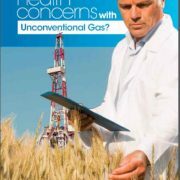 Doctors for the Environment Australia has presented their submission to the Senate Select Committee on Unconventional Gas and is calling for a moratorium on all new unconventional gas operations until health risk assessments of procedures and chemicals performed on an industry wide basis have been undertaken. DEA Submission available here. 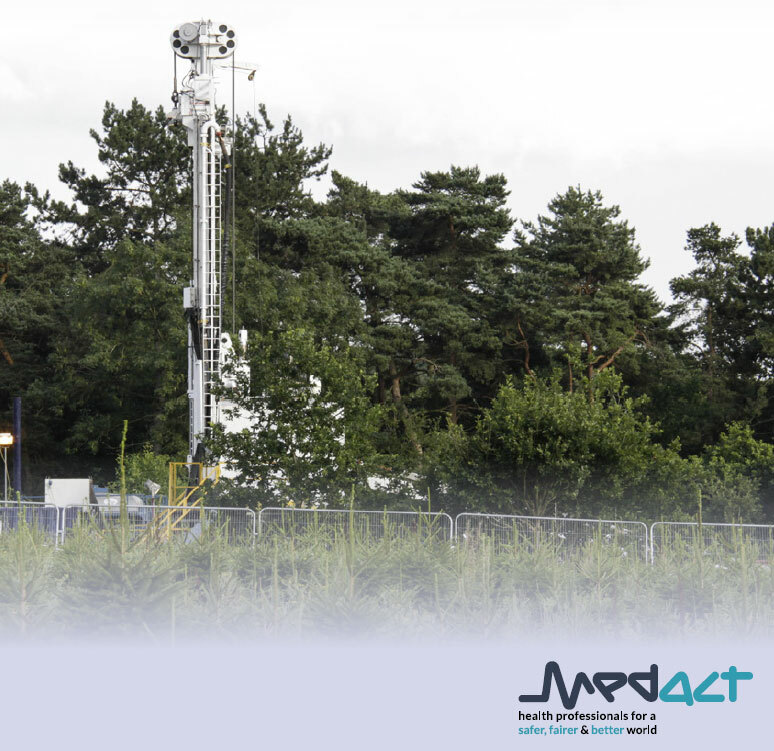 The United Kingdom (UK) is presently set to expand ‘hydraulic fracturing’ of shale formations (‘fracking’) as a means of extracting unconventional gas. Proponents of fracking have argued that it can be conducted safely and will bring benefits in the form of: a) energy that is cleaner in climate terms than coal and oil; b) greater energy security; c) lower energy prices; d) more energy diversity and competition; and e) local employment and economic development. However, fracking has proven to be controversial and there are serious concerns about its safety and impact on the environment. 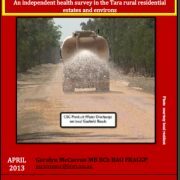 This report reviews fracking and its associated activities through a comprehensive public health lens. It examines the direct and immediate effects of fracking on health; the adequacy and capacity of the regulatory system; and the relationship between fracking and climate change. It builds on a number of existing reviews of the evidence and interviews with various academics and experts (in the UK and abroad). Medact also requested short papers in particular subject areas to inform the production of this report. 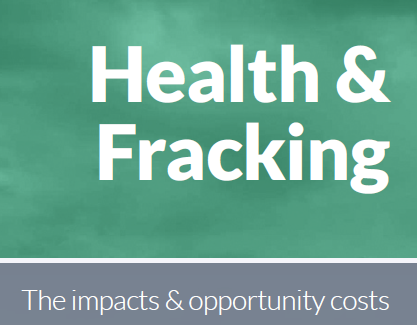 Given that much of the literature about fracking has been derived from experience in the United States (US), this report also highlights the specific features of the UK that need to be considered. Madelon Finkel says; “This is an important book discussing many different aspects of an important topic. Each of the authors is an expert in his/her field, and the material is all evidenced-based (no personal opinions permitted). A cattle farmer near Penola, in South Australia’s south east, is worried about a strong odour he says is coming from the mud waste of a nearby drilling project. Beach Energy is looking for shale gas in the area, drilling up to four kilometres below the surface. But Neil Copping, whose fenceline is 60 metres from the drill, is concerned about the effect the strong ‘rotten eggs’ smell could have on his livestock. “My cattle are smart enough to stay away from it. When the wind is that way, they seem to be nowhere in the sulphur smell area, they seem to move up to the other end of the farm. South Australia’s Department of Manufacturing, Innovation, Trade, Resources and Energy has investigated the alleged rotten egg odour at this well site, and has advised that no hydrogen sulphide releases, above normal operating levels at this site, have been detected. 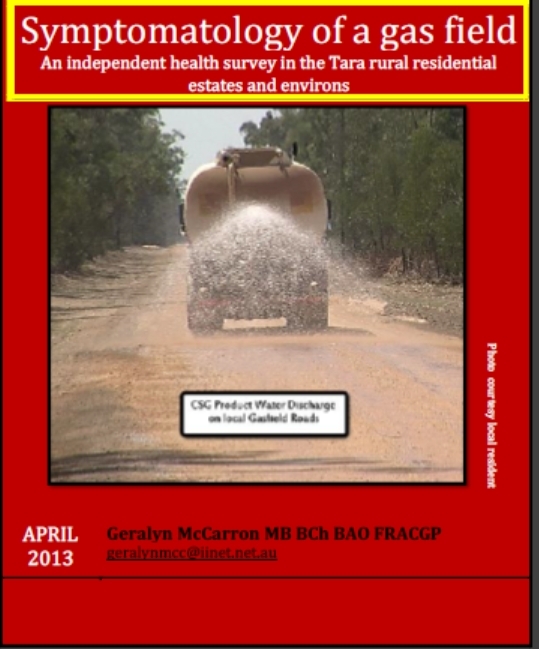 There was shocking news in the Sydney Morning Herald for the farmers of north-west NSW on Saturday – groundwater in the Pilliga had been poisoned with uranium, arsenic and other heavy metals as a result of CSG activities by Santos. After hearing the news on Saturday, farmers Mark and Cherie Robinson jumped into action, and today they will be at NSW Parliament in Sydney, demanding a halt to CSG drilling in NSW in the wake of the shocking confirmation of water impacts. Mark and Cherie have a farm west of the Pilliga and they are completely dependent on groundwater. They can’t survive without it. They’ve already shown incredible courage – both have been arrested stopping Santos drill rigs in the Pilliga over the last month – an extraordinary action for two hard-working, law-abiding farmers. Will you stand with Mark and Cherie, and add your voice to their call to defend our water from dangerous CSG mining? Please get on the phone to Premier Barry O’Farrell and Deputy Premier Andrew Stoner – they need to hear from you directly that the people of NSW will not accept this risky, polluting industry threatening our state. Santos have been hiding behind a wall of spin and deceit – they have been running advertisements saying they pose no threat to water resources, as recently as last week, while knowing full well for at least a year that they have poisoned the Pilliga aquifer. Please take action now – if you can’t get on the phone, then please email the NSW Government decision-makers and tell them to shut-down Santos in the Pilliga and elsewhere in NSW. We’ve made a simple one click tool, it will only take you one minute. Farmers of north-west NSW have this morning told Santos to pack up their equipment and leave the region – and to never come back. Their resolve has never been stronger. Can you pitch in and provide them some support, by donating to our Narrabri Fighting Fund? The funds will help protect the vital water resources of north-west NSW from any further CSG activity. There is an incredible momentum building to shut down CSG in NSW in the wake of the shocking Pilliga water scandal. PIP COURTNEY, PRESENTER: One issue that seems to polarise farming communities more than most others is coal seam gas. An economic saviour to some, others fear the long-term damage the industry could do to underground water supplies. The latest front in this ongoing battle is South Australia, with a proposal to drill exploration wells near prime agricultural land in the state’s south-east. More from Leah MacLennan. LEAH MACLENNAN, REPORTER: Over the past five years, anti-coal seam gas demonstrations have mostly been restricted to Queensland and NSW. But the protests are now spilling over the border into SA. These farmers and environmentalists are trying to stop gas exploration in the state’s south-east. 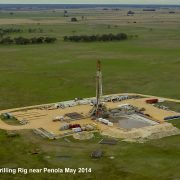 Beach Energy is putting down test drills near Penola. If it finds gas, the company may have to extract it using hydraulic fracturing – fracking – a technique that uses a pressurised mixture of sand, water and chemicals to tap into underground gas reserves. REG NELSON, BEACH ENERGY: Well first of all fracking is a term we don’t use because it encompasses so many different things. It’s a process that’s been around since the 1890s, but, as I say, it covers so many things and it’s evolved in so many different ways. What we’re looking to do, possibly, is to apply very precise fracture stimulation to the deep rocks at probably four kilometres depth. LEAH MACLENNAN: If this so-called unconventional gas extraction goes ahead, it will be the first time the technique has been used in an agricultural area in SA, and that’s angered some of the locals. Over the last six years, Anne Daw has gone from south-east landowner to anti-mining lobbyist. ANNE DAW, ANTI-MINING CAMPAIGNER: We only have 4.6 per cent agricultural prime land and cropping land left in the whole state outside of pastoral areas and that is not much to ask to be preserved and exempt from mining petroleum and unconventional gas. LEAH MACLENNAN: The protest movement has drawn the attention of non-Government MPs in the South Australian Parliament, who are pushing for new laws to restrict fracking and mining in agricultural areas. ROBERT BROKENSHIRE, SA FAMILY FIRST MP: And we need to address it before we lose our best agricultural land. Some say the Mining Act is balanced; I say that the Mining Act is in favour of mining and makes it difficult for farmers. I’m arguing that in the state’s interests, you know, we – Family First are not anti-mining, but we say there are places where you can mine and places where you should be able to unquestionably proceed with farming. LEAH MACLENNAN: But the State Government isn’t interested. It argues there are sufficient safeguards overseen by the Environment, Resources and Development, or ERD, Court. TOM KOUTSANTONIS, SA MINISTER FOR MINERAL RESOURCES: Prime agricultural land is exempt from the Mining Act, but people can, if they find resources, go to the ERD Court and have that, of course, overturned. And that’s right, and that’s the right thing to do because you can have multiple land use principles that do show that mining and farming can co-exist. LEAH MACLENNAN: That’s of little comfort to people like Jack England, a third-generation farmer near Kingston, and he’s the vice-chair of Livestock SA. JACK ENGLAND, LIVESTOCK SA: Some farmers will probably want to sell out and they’re quite pro-mining and there are others that are against it. So we have to be careful that we represent the interests of all farmers, make sure all the drilling, if it goes ahead, is Mickey Mouse and they do the right thing in terms of biosecurity, sort of equity for farms and that sort of thing. LEAH MACLENNAN: The biggest concern for farmers is the potential impact of deep drilling, mining and hydraulic fracturing on aquifers. JACK ENGLAND: The best thing about the south-east down here is we can drill a hole, dig a hole and we either have a well or into the sub-Artesian Basin and we’ve got water for our livestock and/or irrigation and the wine crops as well. So that’s the most stable resource that we’ve got down here and we certainly want to protect it as much as possible. LEAH MACLENNAN: Any threat to aquifers is of great concern to the local wine industry. DENNIS VICE, HIGHBANK WINES: We know for a fact that there are three aquifers. We’re actually standing just a matter of a few feet above the first aquifer and it’s a very unique situation in vineyard areas around the country. LEAH MACLENNAN: Dennis Vice makes organic wine from his vineyards in Coonawarra and he’s deeply worried about Beach Energy’s exploration drills. DENNIS VICE: Beach conducted a local meeting here and invited everyone to come along to kind of put their position forward, and I think from then on people began to realise that it was a reality, that they were really seriously going to do exploratory wells and put wells down through the aquifers, trying again to use the fracking technique to be able to extract gas from these wells that are tremendously deep. LEAH MACLENNAN: Because the wells will go through aquifers, locals want to make sure there’s no leaking or contamination. REG NELSON: What we will do, and this is part of our normal practice, is to drill and case those aquifers so that they’re entirely separated before we drill and possibly encounter any gas. Now I say this because people have drilled there and we have drilled there for so-called conventional gas and made gas discoveries and there’s been no detriment. LEAH MACLENNAN: This is not the first time there’s been mineral exploration in the region. Debbie Nulty’s farm adjoins Anne Daw’s property. In the early 1980s, Western Mining explored this area for brown coal. The pair say this old drill well is an example of what can go wrong. DEBBIE NULTY, FARMER: We noticed that it was falling away from the side and we were concerned about the aquifer. LEAH MACLENNAN: Beach Energy says it wouldn’t leave its wells in such a state, using this photo as an example of one of their rehabilitated drill holes. REG NELSON: I’ve been farming most of my life in various areas, presently broadacre cropping. I’ve lived in rural communities, I empathise with rural communities. I believe in the Golden Rule, you know: do unto others as you would have done unto yourself. LEAH MACLENNAN: Initially the Nultys were told they would have to rehabilitate the well themselves, and if they didn’t, they could face a $15,000 fine. And how much would it have cost you to rehabilitate yourself? DEBBIE NULTY: I’m not sure about the costs because in my mind it wasn’t my drill hole and I really hadn’t even thought that I was ever going to fix the drill hole. It would have been – I would have, yes, yelled from the treetops before I would have fixed it, basically. LEAH MACLENNAN: After long negotiations, the Government agreed to fix the dilapidated well. 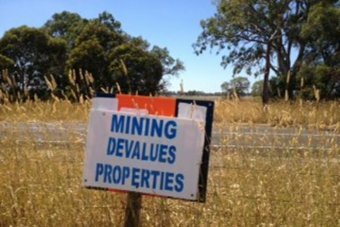 It’s a small victory for Debbie Nulty and for Anne Daw, but these two women are fighting a much longer battle: trying to stop mining on agricultural land altogether. 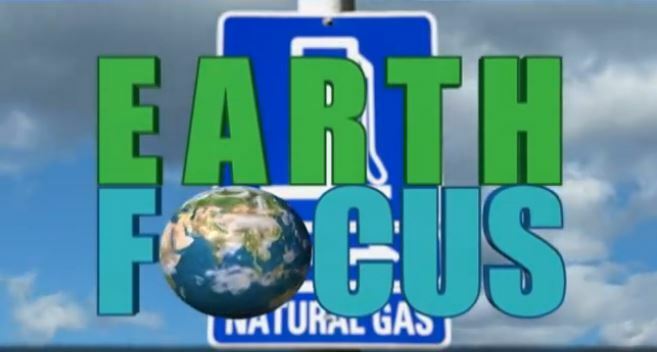 Doctors for the Environment Australia Fact Sheet – on the Unconventional Gas Mining.